More and more people are gong for electric curtains or blinds for the home, particularly in London. Not only is there a range of stylish and refined designs available that can achieve different effects, your system can now be hooked into home automation such as smartphone apps and Amazon Alexa or Google Home. What does that mean? You can benefit from automatic shading throughout your house, when you want it, without moving. Technology has developed a lot over the last couple of years and we’re now entering a time when the Internet of Things is becoming increasingly important. You can tie up a lot of the latest electrical equipment in your home to central hubs like Alexa and do amazing things like open your blinds with a simple voice command. All you need is the right blind or curtain technology installed. The good news is that’s pretty simple to achieve. Here are just a few examples of blinds that you can use through automation. Silent Gliss are one of the most popular vertical blind systems on the market and are suitable for both the home and the office. They glide open and close equally smoothly and can be operated either by a remote control such as your Amazon Alexa or via a switch by the window. That gives you the flexibility to easily control automatic shading throughout the house without having to get up. Another choice are Luxaflex Blinds which have a more traditional look and can be tailored for any size room or window area. The brand uses their own Powerflex Motorisation which means you can organise the opening and closing of blinds whenever you want. For instance, if you have them in your bedroom, you can program your blinds to close at night and open in the morning to let the first light through so you wake more naturally. The system runs through it’s own Apple or Android app which means you can operate it all from your mobile phone. Whether you have electric blinds or curtain tracks, there’s no doubt that automation not only offers you a lot more flexibility but is something that is certainly going to impress the neighbours as well as your family and friends. Many of our customers in London now have automated blinds and curtains and most really don’t know how they’ve managed without them so far. Where this technology works really well is when you have those blinds connected throughout your home. That means you can easily control the shading throughout your property at the touch of a button or voice command. It can also help you control the temperature. If you have a room or conservatory that faces the sun at certain times of the day, for example, you can prevent it getting too warm by drawing down the blinds and you don’t even have to be present to do it. With products like the Luxaflex Blind range, you have a simple mobile app that you can use absolutely anywhere. 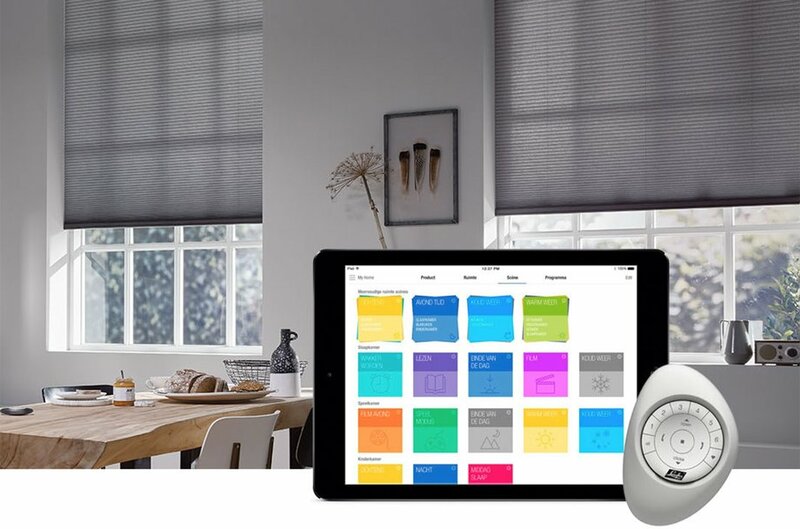 Home automation is becoming an important part of life for London home owners and one place you can easily start is with your electric blinds and curtain tracks. If you’d like to find out how to get connected, contact our friendly team today.